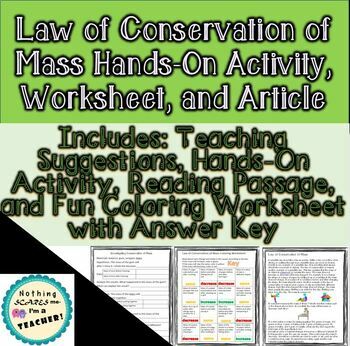 This file includes a fun hands-on lab activity and coloring worksheet to introduce and review the law of conservation of mass. Required materials for hands-on activity are: balance, gum, lego blocks. No materials are required for the coloring worksheet other than crayons. Includes a teacher instruction page and an answer key. If you like this activity, try these other fun lessons!